If you’re using Annmarie Skin Care products, you already know how beneficial natural oils can be for your skin. Jojoba, argan, olive, coconut, sunflower, and others provide anti-aging, antioxidant protection; essential fatty acids to plump and hydrate; vitamins and minerals to protect and nourish; and so much more. We’ve got a lot of natural oils to choose from (just read an ingredient list of ours and you’ll see a bunch! ), but now, there’s a new kid in town. They say it has more antioxidants than argan oil, and more omega-9 fatty acids, too. They say it’s benefitting families in East Africa. And they say the elephants really like it. It’s called Marula oil, and we’ve got the scoop on it. Its main claim to fame? It sinks deeply into skin, where it goes to work. Oh, and then there’s this thing about elephants. It’s pretty famous with them, too, or so the locals say. The exotic marula fruit comes from the marula tree (Scelerocarya birrea), a member of the mango family. Archaeological evidence shows the tree has been a source of nutrition for Africans since ancient times—kernels of the fruits were found in the ancient Pomongwe Cave of Zimbabwe, along with other artifacts that dated back to the pre-Middle Stone Age. The tree remains a treasured resource to this day. 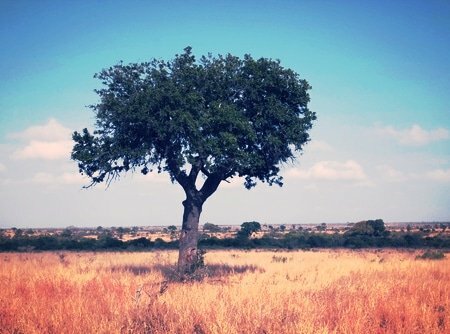 Drought resistant, leafy, and with a dense, spreading crown, the marula typically grows to about 30 feet high, though it has been known to reach heights of 60 feet. One tree can produce up to 1,000 pounds of fruit! The soft wood is used for carving bowls, stools, and canoes. The inner bark can be used to make rope, and was once used to make a brown dye. The bark is also said to have medicinal qualities, helping to treat dysentery, rheumatism, insect bites, allergies, malaria, and other ailments. The leaves are used in traditional medicine to soothe spider bites and burns, and to relieve heartburn. Eaten fresh—they say it’s tart, sweet, and refreshing, similar to a guava. Cooked to make jam and juices. Pureed and frozen to make juice blends. Cooked, fermented, and distilled to make wines and the popular Amarula cream liqueur. It is this connection to liqueur that started the “drunken elephants” stories. According to the National Geographic, traditional African lore tells of elephants eating the fermented fruits rotting on the ground (giraffes, warthogs, kudus, and waterbucks are also big fans), and then becoming intoxicated. A 1970s movie entitled Animals are Beautiful People perpetuated the stories, but a 2006 study debunked the whole idea. “There are travelers’ tales from about 1839 reporting Zulu accounts that ‘elephants gently warm their brains with fermented fruits,’” said Steve Morris, co-author of the study. But for elephants to truly be affected, he stated, they’d have to eat twice as much as they usually do—about 1,400 well-fermented fruits. Still, talk to the native people and they’ll tell you—no way those elephants or other critters are walking a straight line after consuming these treats. Extremely high vitamin C content—said to be eight times as much as that in an orange. Rich in minerals like iron, zinc, magnesium, phosphorus, and copper. High in oleic acids, which are monounsaturated omega-9 fatty acids—healthy fats also found in olive oil that have shown to be beneficial for those with diabetes and high blood cholesterol. Inside each marula fruit is one or two stones, or nuts, said to be tasty and rich in protein. It is from these nuts that we get the anti-aging wonder that is marula oil. Marula oil has gained a lot of attention lately in the beauty industry. Native Africans have long used it on their skin and hair as a moisturizer, but when a women’s cooperative in Namibia started to produce the oil for the cosmetic industry, word of the new beauty oil spread around the globe. Rich in unsaturated oleic acid: Oleic acid, as mentioned above, is an omega-9 fatty acid that sinks much deeper into the skin than many other moisturizers. The result is more intense, longer-lasting moisture. A 2002 study, for example, found that oleic acid enhanced penetration more than synthetic penetration enhancers. Clinical tests have found that marula increases the skin’s ability to hold onto moisture. Rich in antioxidants: Marula, like most natural oils, is rich in protective and anti-aging antioxidants. Great source of vitamin C: Vitamin C is a powerhouse ingredient for skin, helping to protect from environmental stressors, firm and tighten, as well as brighten skin. Source of vitamin E tocopherols: These fat-soluble compounds protect, and provide a radiant look to the skin. Stable: Because of its unique makeup, marula is a stable oil, and easily resists oxidation, which means it will last on your shelf. They say it’s 10 times more stable than olive oil. Nice feel: Marula oil is medium rich and silky to the touch, making it ideal as a massage oil. African women have long used it to massage babies and as a body lotion. Marula now provides an income for many families in southern Africa. Though it has long been used commercially to make South African cream liqueur, once the women’s cooperative began developing the oil for the cosmetic industry, even more people became involved in this eco-friendly enterprise. The cooperative now represents about 4,500 women producers working to supply marula oil to the cosmetics industry. Though many other commercially prepared oils are extracted with heat and chemicals, the cooperative harvests the fruits by hand, and then cold-presses the kernels to extract the oil inside, preserving the antioxidant (and anti-aging) benefits. In East Africa, a Kenyan farmer named Philip Leakey has set up a marula tree farm and will be selling the oil to the U.S. through the Leakey Collection, a fair trade company that promotes entrepreneurial opportunities for rural Kenyans. His farm already employs about 800 local people, though Leakey expects that number to increase to near 10,000 as the business grows. Have You Tried Marula Oil? We’re likely to hear more and more about this oil as time goes on. In fact, don’t be surprised if it soon becomes as common as jojoba or coconut or some of the others that you’ve become familiar with. In the meantime, if you try it, we’d love to hear your thoughts. Marula is an oil that’s sure to benefit your skin, and we love the fact that production is helping support the economy in struggling communities of the world. Have you tried marula oil? Please share your thoughts. Nicholas Bakalar, “Elephants Drunk in the Wild? Scientists Put the Myth to Rest,” National Geographic, December 15, 2005, http://news.nationalgeographic.com/news/2005/12/1219_051219_drunk_elephant.html. Steve Morris, et al., “Myth, Marula, and Elephant: An Assessment of Voluntary Ethanol Intoxication of the African Elephant (Loxodonta Africana) Following Feeding on the Fruit of the Marula Tree (Sclerocarya birrea),” Physiological and Biochemical Zoology, March/April 2006; 79(2):10.1086/499983, http://www.jstor.org/stable/10.1086/499983. Touitou E, et al., “Oleic acid, a skin penetration enhancer, affects Langerhans cells and corneocytes,” J Control Release, April 23, 2002; 80(1-3):1-7, http://www.ncbi.nlm.nih.gov/pubmed/11943383. Vermaak, et al., “African seed oils of commercial importance—Cosmetic applications,” South African Journal of Botany, 2011; 77: 920-933. Jessica Hatcher, “Luxury skin care product promises to nourish Kenyan employment,” The Guardian, January 3, 2015, http://www.theguardian.com/global-development/2015/jan/03/marula-oil-skin-care-kenyan-employment-philip-leakey. Is the oil UN-refined? That is the key to having the Marula actually work “within” the skin – if it is Refined then it is simply putting cooking oil on your skin and is a dead oil. Sadly Marula oil is being brought into the US by vendors that are buying any Maurla oil and most of it is REFINED – When you purchase a bottle of REAL Marula oil that is UN-refined – you will really see Big results. Also, if a company has added essential oils to the Marula it is because the oil has been Refined – forget about all they hype they try and sale you about why they added ANYTHING!! There is only ONE company that I can find that sales real Marula UN-refined oil. Truly check out what you are spending your money on and expect results.